The Riviera Maya extends along the Caribbean coast of Mexico’s Yucatan Peninsula from Puerto Morelos to the Sian Ka’an Biosphere Reserve. Once home to small fishing villages, the Riviera Maya coastline has since been developed into a modern tourist corridor offering the very best of high-end Riviera Maya luxury villa rentals, fine dining, nightlife, spa retreats, shopping and golf in Mexico. The things to do in Riviera Maya are endless. It is one of the world’s top destinations for scuba diving and snorkeling. An expansive coral reef system extending just off the coast is home to a spectacular array of marine life including colorful tropical fish, manta rays, dolphins and whale sharks. You could spend your entire vacation lazing on the powdery white sands of the Riviera Maya’s beaches. But when you’re ready for some action, be assured that there’s no shortage of exhilarating activities to be found in the region’s fantastic adventure parks. Activities at the most visited locations include Jet Skiing, snorkeling, scuba diving, swimming in cenotes, swimming with dolphins, zip-lining, horseback riding, sailing, and guided jungle tours. 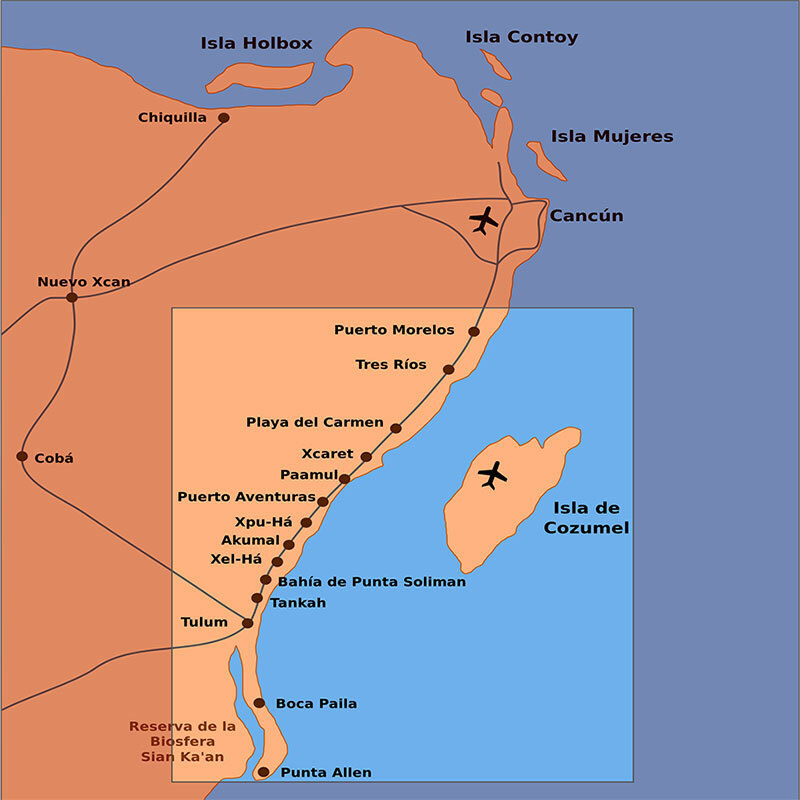 Archeology is also a big tourist draw in the area, including the popular archeological sites such as Tulum on the coast, and Chichen Itza and Coba located some distance inland. The self-named ecoparks of Xcaret and Xel-Ha also include some smaller archeological ruins as part of their attractions, but these natural water theme parks attract much larger crowds due to the diversity and range of activities provided, such as swimming with captive dolphins, within easy access from your Riviera Maya villa. You can also go snorkeling and cave diving in the many cenotes (underground sink holes) that are unique to this Yucatan Peninsula. Luxury travel entities have been instrumental in increasing Riviera Maya villa rentals and yacht charters in the area. Spend the day at a luxury Riviera Maya villa where you can enjoy swimming, sunbathing, aquatic sports, spa services and a variety of modern amenities. You’ll find some of the best Riviera Mayas villas in the resort destination of Playa del Carmen, a friendly tourist town where you’ll also discover the Riviera Maya’s best shopping, dining and nightlife. The water really is really incredibly blue and the sand really is that stunningly white. 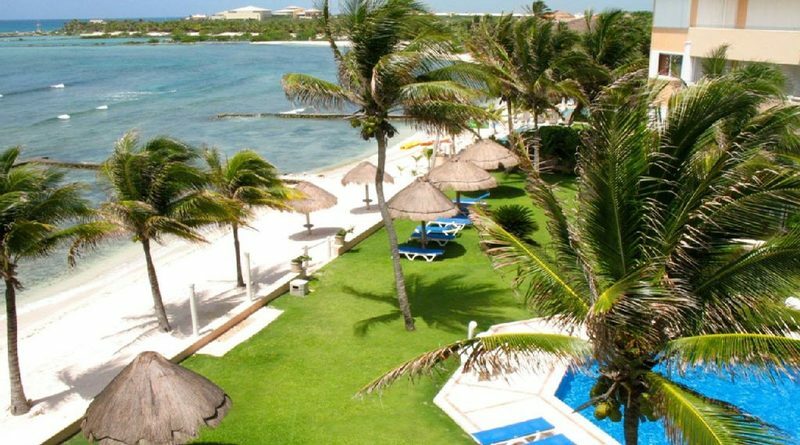 Whether you are looking for underwater adventures, learning about the flora and fauna of the area, or simply wish to while away your vacation in a hammock at your many choices of Riviera Maya villas, there’s a villa to suit you on this beautiful coast.